Despite my best efforts, there has been a lot of junk food in my kids' lives lately. I've got a new job, so I'm cooking less. More meals in restaurants always seems to equal fewer vegetables and more fried stuff. You know how it goes. Sometimes you just need to find a way for your family to detox. Soup is the one thing my kids will rarely turn down. Even Hot Dog Boy loves his soup, and always the ones that surprise me: "beta carotene" soup, leftover lettuce soup, artichoke soup, and now this cream of celery soup. Of course, Hot Dog Boy loves his celery, so maybe I shouldn't have been too surprised this time. A handful of croutons makes any bowl of soup more fun. If not croutons, try french fried onions (yes, the ones in the can), crumbled Triscuits, or even popcorn. Just float something they can chase around with their spoons. 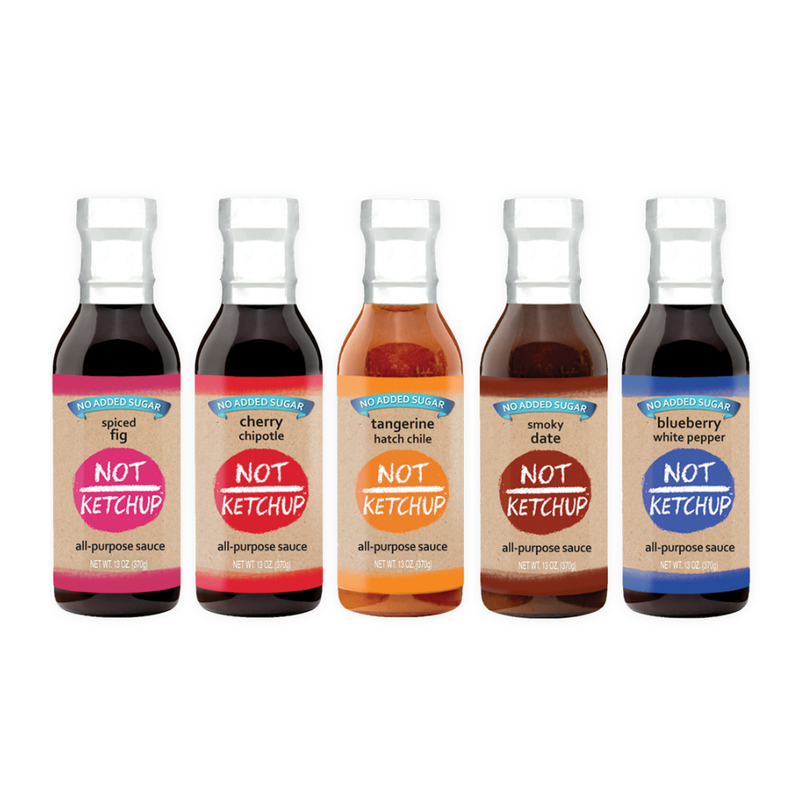 Pureeing soup bypasses the picky eater's "What's that? What's THAT?" with each spoonful. Buy an immersion blender immediately, if you don't have one. Don't serve the soup too hot. Or serve it hot and let the kids add their own ice cubes. Melting ice is quite distracting. For a change, serve the soup in a coffee cup or a pretty tea cup, and let them drink it instead of eating it. With a straw, even. Keep a few secrets. If you don't want to tell them which vegetables are included, call it "Orange Soup" and let them guess. How many orange vegetables can they name? By the way, this soup uses only five ingredients, contains no dairy, and tastes exactly like the Campbell's cream of celery soup I remember from my childhood. Only, you know, better. Heat the oil in a medium saucepan and saute the onion until softened, about 3 minutes. Add the celery, chicken stock and rice. Bring to a boil, reduce the heat, cover the pan, and simmer the soup about 20 minutes, or until the vegetables are very soft. If using raw rice, make it about 30 minutes. Puree the soup with a hand-held immersion blender and season to taste. Serve hot with lots of croutons. 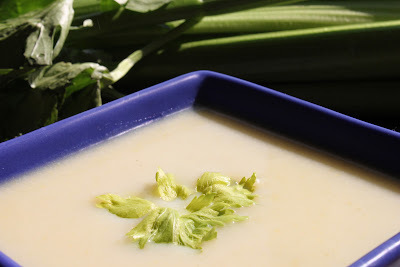 I love cream of celery soups but I use the celery root which is not always available, I'll be sure to try recipe with celery stalks. Thank you for sharing. Love your strategies! Alphabet noodles are also a terrific technique. My kids will eat any soup with those, and I have to admit they are fun for us adults, too! Hmmm..I'll bet this might be a good way to get strictly carnivore boyfriends to eat vegetables also! Still trying to get Sierra to even like soup, what's the secret for that? @Rivki - funny, alphabet noodles never worked for my kids. I think they felt it made eating too much like work. @Stephen - her own cool bowl, her own cool spoon, and crunchy bits to chase around the bowl. Also, make sure it's not too hot. Once burned, ever fearful. Or...just wait. My husband has been telling me for years how awesome Campbell's Cream of Celery Soup was. And he does not like celery. Go figure. First time I made cream of celery soup, I was amazed at its mild taste. I usually strain it, just in case. It has become one of the favorites. I like your photo. I cannot figure out those photo sites either. All I know is that they like really bright and light pics:)Good luck (to both of us) in the future. Made this easy recipe last night. Heavenly!! My husband is wary of vegetables, and he loved it too! Will be enjoying leftovers at lunch today. Thanks for sharing, Erika. I love celery and will give this a try! Appreciate the tips for getting the kiddos to eat veggies!